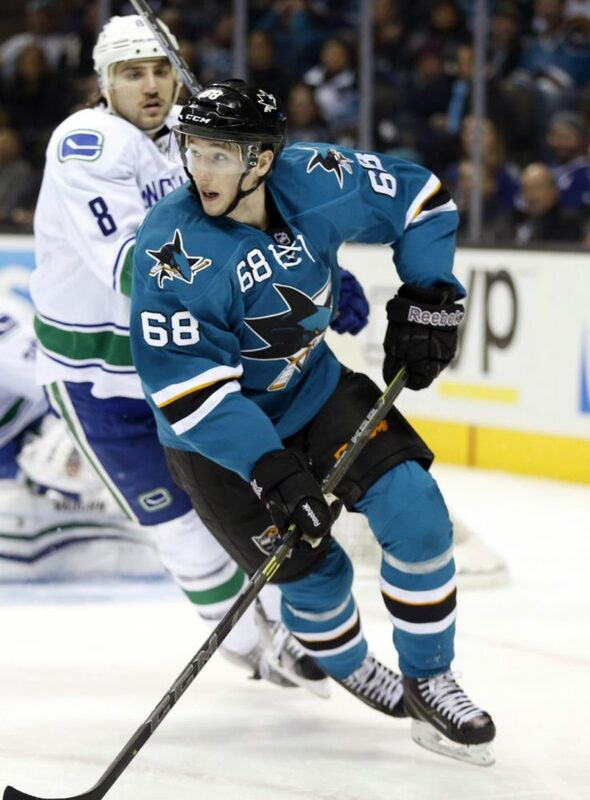 Next up in Sharks Previews & Predictions is the Swedish Melker Karlsson. Although he didn’t start in the NHL last year, Karlsson dazzled fans upon his arrival to the league and proved to be one of the bright spots for the team. He saw time on the first line at the end of the season, but due to the signing of Joel Ward, he may very well play on the fourth line come October. Karlsson was a gift from the hockey gods when he started skating in a teal uniform. He began the year on an absolute tear, starting the season with 13 points in 22 games while playing on a line with James Sheppard and Barclay Goodrow. This resulted in a 21.6 percent shooting percentage for the 24-year old. 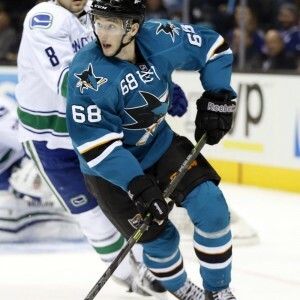 The Swede was later promoted to the first line, where he played with Joe Thornton and Joe Pavelski. He was the obvious weak link of that group but managed to hold his own. Unfortunately, Karlsson’s production slowed significantly as he recorded just 11 points in his final 31 games while playing with the club’s best players. Obviously, very few expected Karlsson to maintain his remarkable 0.59 points per game throughout the entire year, but dropping that mark all the way to 0.35 points per game was a bit underwhelming. This young skater was already showing signs of regression less than 60 games into his career. He wasn’t terrible by any means, but he wasn’t the same stud that his first 22 contests made him out to be. Despite playing in over 20 more games, Karlsson will earn just two more points next season. There are a number of reasons for this prediction, one of them being his new linemates. With the signing of Joel Ward, Karlsson will probably not play with Thornton and Pavelski; he will instead play with the likes of Goodrow and Ben Smith. These two are not as skilled as the two Joes and will not be able to help out the sophomore as much as the veterans he previously played with. While he did show chemistry with Goodrow at the start of his career, he also shot at a very lucky 21.6 percent—something that cannot be sustained over an entire season. He may also see time with Mike Brown, Raffi Torres, or Nikolay Goldobin, none of whom compare to his former partners. Playing on the fourth line will also cut Karlsson’s ice time significantly. Last year, he played over 15 minutes a night, but skating in the bottom six means he may see as few as 10 or 11 minutes on a regular basis. It may only seem like a couple of shifts, but that time adds up and will lead to reduced statistics. The Melkman should be the designated scorer of the line, which is why he will record more goals and fewer assists. However, playing with a group where he is the primary source of production will hurt his defensive and possession numbers. Statistics like corsi, goals-for, and plus/minus will all decrease because of his lower quality linemates. Karlsson will still play very well on the Sharks and could help make their fourth line be one of the best in the league. Unfortunately though, his numbers from last season will regress for a plethora of reasons. He will be a high-quality bottom-six player and will probably see time throughout the lineup depending on how his teammates perform or if there is an injury. His role has changed, but his goal remains the same: win.